Bombardier’s Ilford depot is a heavy maintenance depot in Essex, situated between Ilford and Seven Kings stations. It is operated by the company’s Services Division which has two roles – providing routine daily maintenance services for the train operating companies (TOCs) and offering more substantial vehicle overhaul and reengineering/asset life extension programmes for the rolling stock companies (ROSCOs). Ilford is part of that second category. 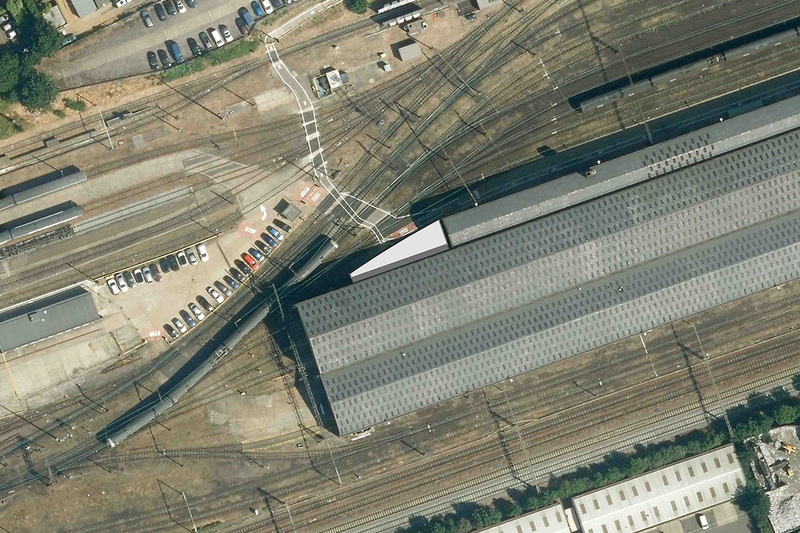 There have been train sidings and carriage sheds on the site since c.1921. The site has steadily developed since then including the construction of the main carriage repair sheds in the 1960s. 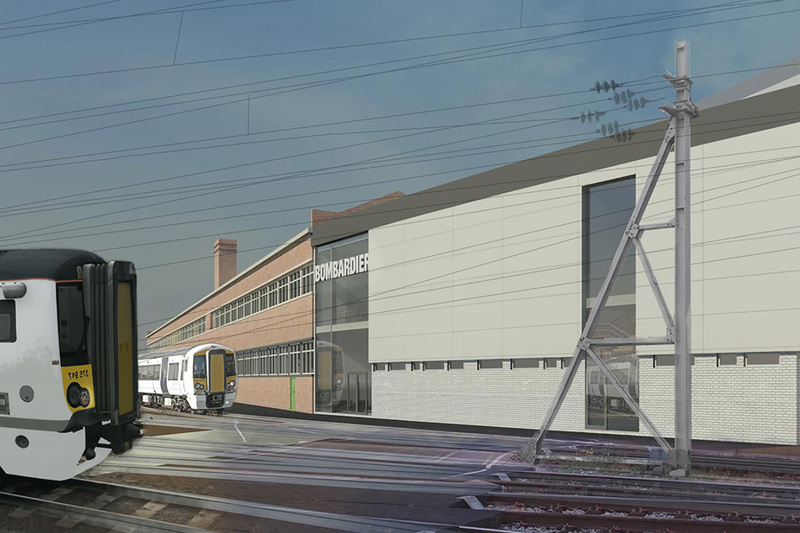 The site is now being developed to allow for the stabling of the new Crossrail stock and DarntonB3 are assisting this process including acting as CDM co-ordinators for the whole site, and as architects for the development of a new office and entrance extension to Bombardier’s existing offices. 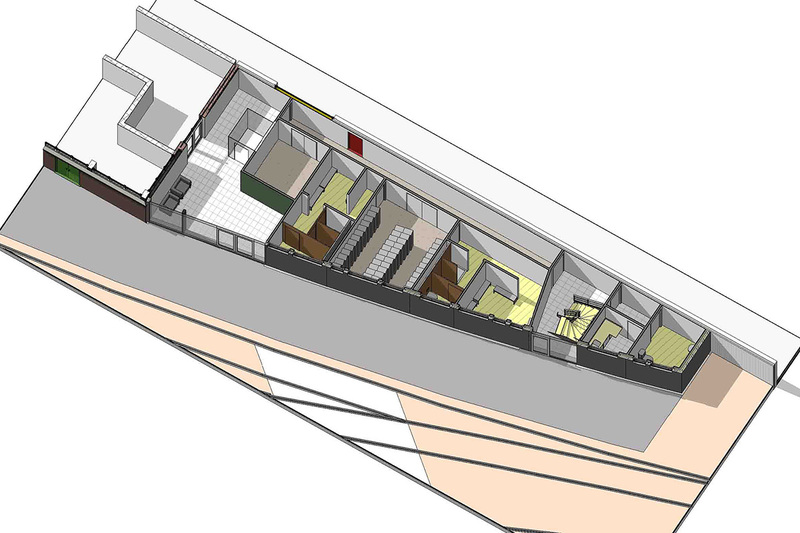 The two storey extension provides additional workspace for staff and frees valuable line side space. Our experience in the Rail and Transport sector has been developed over a number of years. We have both direct rail project experience and a track record in interface projects, where we have acted for third parties on schemes associated with the rail network. Drawing upon the knowledge and experience we have of sectors such as retail, commercial, residential and leisure we are able to create comprehensive scheme designs that seek to add value. We are well experienced in working with clients, contractors and multi-disciplinary engineering teams to support and deliver wider infrastructure projects including station, interchange, MSCP and depot schemes. Our CDMC team has acted on schemes associated with the rail network and continue to support clients in this important area of regulation and compliance.